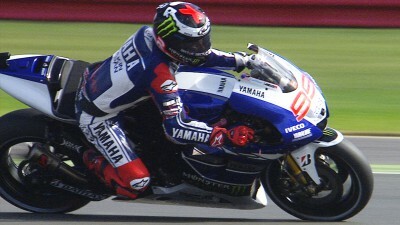 Reigning World Champion Jorge Lorenzo was fastest as the Hertz British Grand Prix weekend began at Silverstone on Friday. The Yamaha Factory Racing rider and last year’s winner led championship leader Marc Marquez and his Repsol Honda Team partner Dani Pedrosa. Very light rain had affected Moto3™ practice during the morning, but blue skies were prominent over Northamptonshire by the time the afternoon arrived, accompanied by a steady breeze. 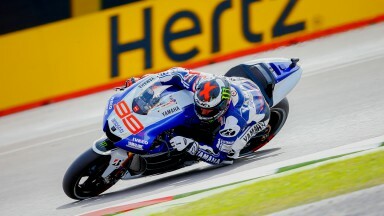 Lorenzo led the way with his best effort of 2’02.734, two tenths up on Marquez whose last Silverstone victory came in the 125 class three years ago. Behind Pedrosa, the top five was rounded out by GO&FUN Honda Gresini’s Alvaro Bautista – the 2012 pole-sitter – and Lorenzo’s teammate Valentino Rossi. Home favourite Cal Crutchlow was sixth, two places ahead of teammate Bradley Smith as the pair of Monster Yamaha Tech3 riders sandwiched Ducati Team’s Andrea Dovizioso into seventh place, with his own teammate Nicky Hayden completing the top ten behind LCR Honda MotoGP’s Stefan Bradl. Aleix Espargaro was 11th for Power Electronics Aspar, leading the way in the CRT ranks from the ART machine of PBM’s Yonny Hernandez. For 2013, the start line has returned to the National Straight for logistical reasons. Free Practice 3 will begin at 9:55am local time (GMT +1) on Saturday.